This all creatures animal exploitation photo gallery about elk is being presented to show the public the difference between the cute animals we see in advertising and picture in our minds and the reality that exists in the world. 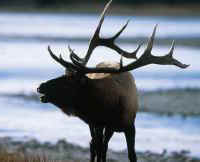 (Elk Exploitation - Canned and Trophy Hunting - 04) The caption on this photo of captive domesticated elk read, "Spikers reaching to heaven". 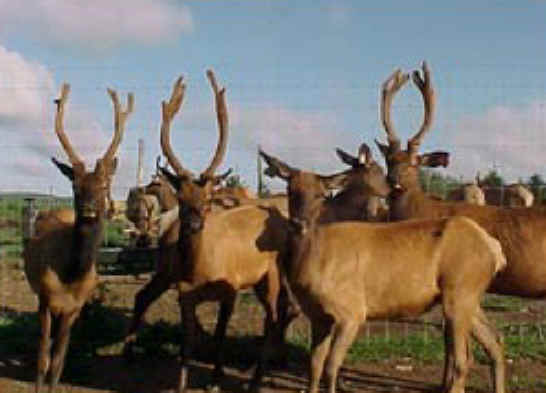 We believe that these elk are most assuredly reaching for heaven; however, at the same time, we believe that those who are involved in these captive hunts are reaching for hell.